Phantom Entertainment, creators of the doomed-from-the-start Phantom gaming console, have just launched their very own online video game store, while also announcing funding for the next production run of their Phantom Lapboards. The online store located at Gamestore.Phantom.net carries a large selection of computer games, from today's top titles to the classics of yesteryear. Purchases made through the store will be tracked, allowing buyers to re-download their games at no additional cost until the end of time. Next year Phantom plans to roll out streaming gameplay, rentals, and timed trials to the service. This is pretty much the store that would have been the backbone of the Phantom console, had that whole thing ever worked out. On the hardware side of things, Phantom is also announcing that they've secured funding to produce a new batch of their Phantom Lapboards early next year, complete with an upgraded laser mouse and new internal components. The Lapboard combines a wireless keyboard and mouse with a hard surface that allows players to conveniently play PC games from the comfort of their couch. I must have one. It's nice to see the company putting out actual products, isn't it? In a few decades we'll finally be able to look back at the whole Phantom console debacle and laugh. Phantom Entertainment today launched its highly anticipated online game store, located at gamestore.phantom.net. The game store features an impressive catalog of over 2,600 PC games including top sellers like Fallout 3 and Far Cry 2. 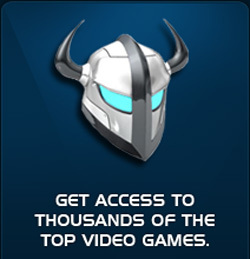 The store allows for outright purchasing of video games or try before you buy, and features level 4 merchant abilities. It uses a highly advanced content licensing management system to track all games purchased, so once a game is paid for and downloaded, the user owns the licence forever and can return to re-download the game in the future without incurring additional cost. This is all made possible by a strategic partnership with GameStreamer, Inc. and their Enterprise Class Gaming Network built on top of Savvis Communications Tier 1 backbone and data centres. GameStreamer is diligently working on implementing technology to enhance its offering and providing unparalleled service to its users. Some of the enhancements will include a streaming system, subscription support, rentals, timed trials and complete automations with its content and distribution partners. Phantom Entertainment is also announcing today that they have secured financing and have placed an order with its contract manufacturer to mass manufacture the Phantom Lapboard. The units will be arriving in January and be available for purchase on the Phantom.net website. Phantom Entertainment has been working diligently to address the needs and concerns of large big box retailers and OEM manufacturers to deliver upon their expectations of building an order history. The Lapboard is positioned to be the selection of choice for the evolving market for digital media centres, set-top boxes and devices in the living room or automobiles. Phantom Entertainment's mission is to deliver our lapboards with the highest quality and customer satisfaction. Phantom Entertainment shipped its first small order of lapboards last quarter and has made many improvements. The company "upgraded" the laser mouse and internal component hardware and is ready for retail and OEM distribution. The company has opened up a warehouse, logistics and distribution facility in St. Louis, Missouri and has worked out a system to ensure units are on hand to facilitate the demand. The Phantom® Lapboard is a combination wireless keyboard, laser mouse and hard surface that makes it easy for you to work or play games from your couch, easy chair or any comfortable setting in your home or workplace. The Lapboard includes wireless technology, ergonomic design, one-touch features, and a wireless laser mouse. Its innovative design features a keyboard that rotates 360-degrees to accommodate left or right-handed users and inclines on a 22-degree angle with a hard surface below for the Phantom Laser Mouse. The Lapboard's interchangeable key-face technology is designed for game-specific and business software applications for PC or Apple Mac platforms. As a special promotion to promote the launch of the Phantom game store and availability of the Phantom Lapboard, Phantom Entertainment will be offering the first 100 game store registered users a premium game title for free. Also, anyone who orders the Phantom Lapboard during the month of January will receive a credit to purchase a free casual game title.